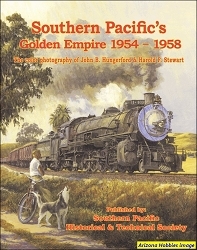 This title features Southern Pacific operations between Sacramento, CA and Sparks, NV from the 1960s until the Union Pacific takeover in 1996. There hundreds of never before published photographs along with knowledgable captions by "Daylight Dave Houston". 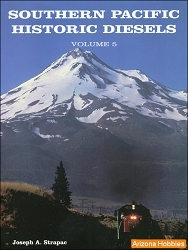 There are sections of this title featuring the famous "Reno Fun Train", F-units, SD7's, snow removal, and much more. 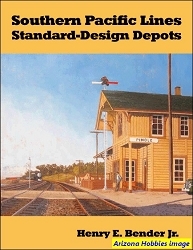 With each diesel locomotive featured there is a brief historical background. There is a stunning multi-page section featuring Donner snow removal by rail photographer B. Douglas Jensen. 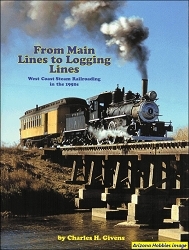 This is the initial title by David Houston featuring western railroading. Four Ways West Publications, 144 pages, 11 x 8.5 x .5 in., 400 photographs in Color.